The Wiltshire Beekeeper is often asked to visit clubs, schools and societies to give entertaining and informative talks about beekeeping and the world of bees. Please contact us if your club, school or association would like to make a date for him to visit. Vaughan's Kitchen cookery classes use a Naturally Balanced approach to food using organic and local ingredients. New courses are coming on stream all the time, as their creative tutors entice you to explore and expand your skills. Peter Vaughan also uses our Honey Poducts in his recipes at the Bistro, Devizes. 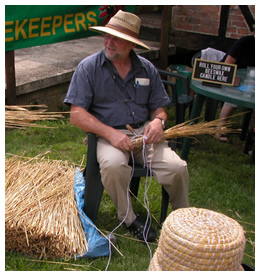 The Wiltshire Beekeeper loves to turn up at fetes and shows to sell his honey and talk to people about beekeeping. We would love to hear from you if you are hosting a fete, charity event or Christmas Fayre and would like him to attend. 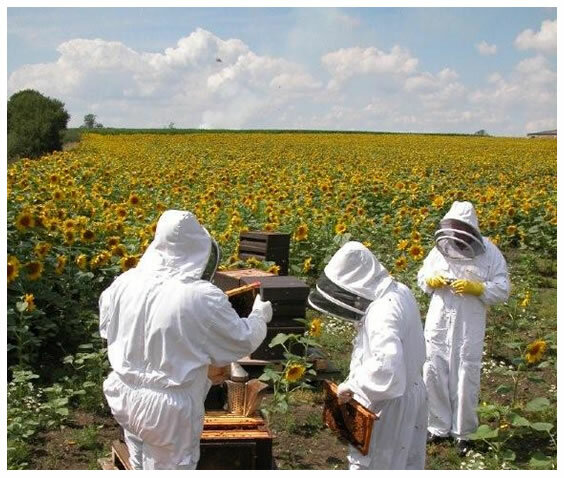 Would you, or someone close to you, like to experience a day of beekeeping with The Wiltshire Beekeeper? Gift Vouchers are available, why not give a Beekeeping Day as a present ?